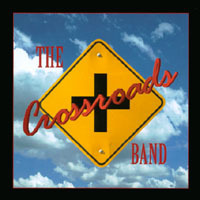 The degree of affection I have for the Crossroads Band is something that is difficult to rate. This is a group that is easy to love, writing and producing blues-tinted roots rockers that not only display prime musicianship but stellar lyricism and friendly, heartfelt vocals. This is the kind of band that you’d see at summer festivals, jamming beneath the heat of the sun for whatever the size of the crowd. Vocalist Tony Merando is almost like a chameleon, shifting tone and style depending on the genre and primary emotion of the tune. On “I’m So Glad,” Merando echoes the crystalline blue-eyed soul of Paul Carrack while his group generates a sizzling Southern-rock groove that Lynyrd Skynyrd would’ve saluted them for. Guitars are at the heart of the Crossroads Band. They boil to a fiery rhythm on “Free Man,” starting with a gently rocking pulse that gradually increases steam. Man, this group can honestly smoke! “Stranded” is pleasantly engaging Americana in the jangly Wilco vein. Even the relatively mellow numbers like “Oh Mama” and “Time Slips Away” show a band that never sleeps at the wheel.